Android TV Stick / Android TV Box / Android Stick / Androidbox / HDMI Stick / Box HDMI / Mini PC / HDMI Dongle / Stick Smart TV / Smart TV Box. Ultimately, this is all the same. Multimedia for everyone in an instant. Android is a very popular operating system for more than one billion devices (Android, every day more and more people use) such as Smartphones, Tablets, HDMI Stick / Sticks Android and Android Mini PCs. Also, there are already "smart" cameras available that work on Android. It was originally developed by Android Inc.. but soon were larger companies interested in the operating system, such as Google. In 2005, Google decided to take over the company and since Android is bundled with comprehensive software applications. With Android, you can use all the Google Apps from the constantly growing Google Play Store (Google Play Store has more than 700,000 apps and games available) Android devices are all smart, but will only get smarter by more and more new features. 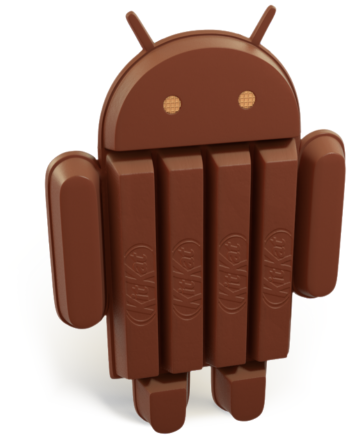 Android is an open platform, which everyone has the opportunity to customize and install Android on devices. Here is also the basis for the development of the increasingly popular Android Stick / box / mini PC. Many well-known manufacturers use Android, think of Samsung, Sony, LG and HTC. Meanwhile, millions of people use Android. Android makes your life easier and more fun, of course. The Sky is the limit! Every time an update comes with Android there are more options in Android, yet remains easy to use. Unlike Windows and Apple Android is an open platform, everyone has the opportunity to contribute to their growth. Android is also a lot cheaper than their competitors and thus more attractive to hardware vendors. 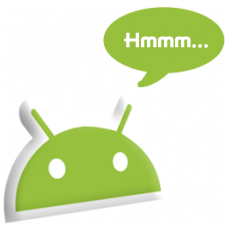 Android is within a few years become the most POPULAR operating system and will continue to grow in the future. What is an Android TV Stick / HDMI Stick? Actually it is a mini computer with the operating system Android. This allows you to easily view HD movies, android games or surfing the Internet. Also chat via video calls is possible through Skype, for example via a Webcam! The possibilities are truly endless. You get easy access to your favorite apps, thanks to the seamless integration of Google Play Store. Because you have access to Google Play Store you access to thousands of apps / applications / programs. What are the different names for an Android Mini PC? Android TV / Google TV / Android Stick / Androidbox / Android TV Stick / Android TV Box / HDMIstick / HDMIbox / Mini PC / Smart TV Stick / Smart TV Box. The Android Sticks are often not much bigger than a USB stick. The Android Boxes are slightly larger, but also much more outputs such as multiple USB ports. Connect your Android TV Stick / Box to the HDMI input of the LCD / LED TV and make it a Smart TV that will surpass your dreams. The possibilities are much wider as a Smart TV. This is of course the Android operating system. Some Android Sticks and Android boxes are similar to the Apple TV Box, most are even better! Another advantage with Android is that there is much more available for free, such as the thousands of free app's through the Google Play Store to download. Which you control an Android Stick / Androidbox? - With a traditional USB mouse and / or keyboard. - Use your Smartphone or Tablet. We always ensure that we sell the best quality Android Sticks / Android Boxes. Of slightly more expensive to cheaper, Android TV Sticks / Boxes with HDMI output for newer TVs or A / V output for older TVs, we have the solution for everyone. We also continuously bring new models to our webshop. Please therefore our shop so closely, then you are always aware of anywhere!